Welcome to 1800 Via Estudia, the newly listed and completely remodeled home in the Lunada Bay area of Palos Verdes Estates. This is a beautiful home with 0ver 2500 feet combining a Spanish inspired design with all of the amenities that luxury home buyers expect in this wonderful neighborhood. We're sorry, but we couldn't find MLS # PV15120718 in our database. This property may be a new listing or possibly taken off the market. Please check back again. While the world of luxury flips may be slowing a bit as “fixer” home prices are no longer much of a deal, there are still some beautiful properties coming to market and the home at 3521 Poinsettia is one of them. 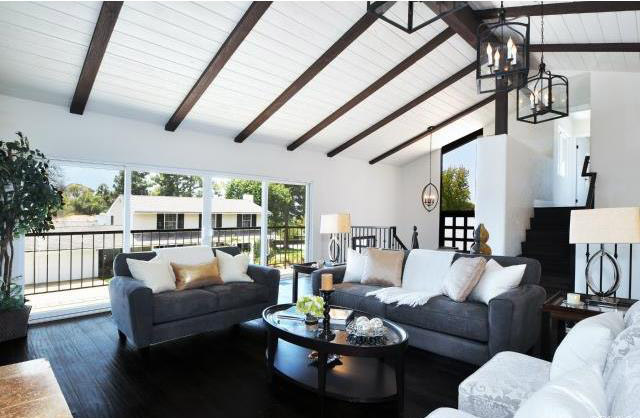 This was tastefully remodeled with a very bright and inviting beach home style. Open beamed ceilings, beautiful hardwood floors, entertainers kitchen and bright and muted colors throughout make for a wonderful beach style home. Listed by Ed Kaminsky with Shorewood realtors, the home is marketed as a “cottage contemporary home” and features 3 bedrooms, 3 1/4 bathrooms (tax records indicate 2 bedroom 2 bath so buyer should verify), and according to the seller has 1700 sq ft. Contemporary kitchen, with gourmet appliances, brand new cabinets, marble counter tops, wood ceiling and beautiful lighting. The home has great outdoor spaces and resides in the very sought after tree section neighborhood in Manhattan Beach and offers the epitome of the luxury beach lifestyle. We're sorry, but we couldn't find MLS # SB14212903 in our database. This property may be a new listing or possibly taken off the market. Please check back again.